For my Sunday Favorite revisit, I decided to repost this "Bloody Mary Soup" post. It is so cold out right now and we have been going in and out all day, hot soup recipe sounded just right! Enjoy! Yummy this sounds so good! I read your message and think I qualify to be one of your peeps, so I'm your latest follower. Come for a visit and for my $30 Gift Card giveaway. Ooooh...your recipe sounds delish, my friend! I love anything with a tomato base...and spicy is even better! 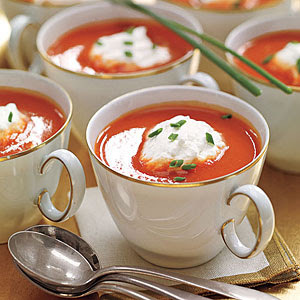 I haven't ever heard of Bloody Mary soup until now but I will definitely be giving it a try! 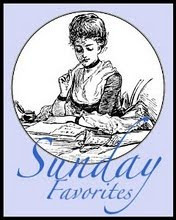 Thanks so much for sharing the recipe with us for the Sunday Favorites repost party! What a treat!!! Oops...just lil' ol' me again! Just wanted to tell you that I love your new blog design! Girl, you have been a busy little bee! Hehe!